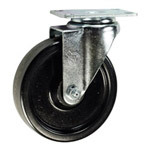 Look here for hand truck tires and wheels. 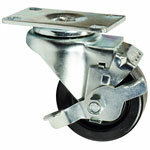 Service Caster has dolly casters and wheels to meet your needs. 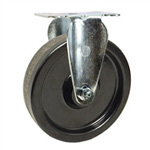 For more selections, specialty wheels (boat and trailer), general information and to order by phone call our West Reading, PA office at 1-800-215-8220. You may also email info@servicecaster.com. 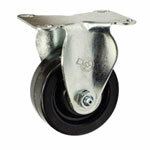 The caster wheels used for a dolly can vary depending on your task and your rolling surface. Nylon, neoprene, soft rubber and thermoplastic rubber for lighter loads and floor protection, and hard rubber. 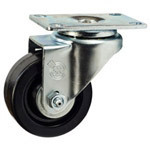 Phenolic in regular and high temperature models, polyurethane for easy rolling and non-marking ride, and semi steel for impact resistance and high capacities are among the many wheel and tread material types able to be selected for dollies. 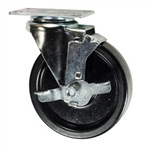 These casters can be configured to handle a variety of environments and tasks. Inform your sales rep of any extreme conditions your equipment might face.